Let's be honest, calling it the 'Holywood Classic' wouldn't have quite the same impact, would it! 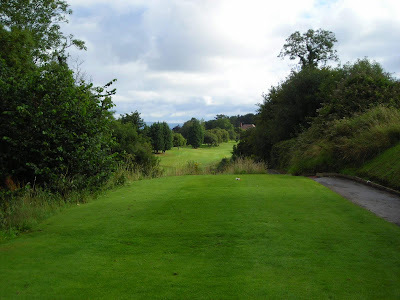 I read in the Irish Times(GO supplement) on Saturday 25 June, that the timesheet was open for entries to the Rory McIlroy Classic, at Holywood Golf Club, Rory's home club. The cost was a mere £20 per person... with Rory showing up to present the prizes. The date? August 19th. The wonder kid has just won the US Open, so this is going to be a popular event. I called the club and had a chat with the guy in the pro shop. The first tee time is 6am; the last tee time is 6pm. Are there any tee times left? Even if that was an embellishment and it was actually 30 minutes, the Irish Times was still five days late! Still, probably enough time to put your name on the waiting list... but expect to be waiting a long time. 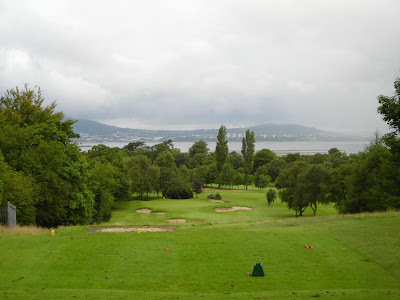 Photos of Holywood, up near Belfast.